Casidra was awarded a scholarship and was able to send its Senior Project Manager for Agriculture, Gerrit van Schalkwyk, to Japan earlier this year (from 11 January 2016 until 13 February 2016) to participate in the Knowledge Co-Creation Programme facilitated by the Japanese International Co-operation Agency (JICA). Van Schalkwyk was privileged to leave Cape Town on the 6th January 2016 to join other successful candidates in Johannesburg before departing for Japan. 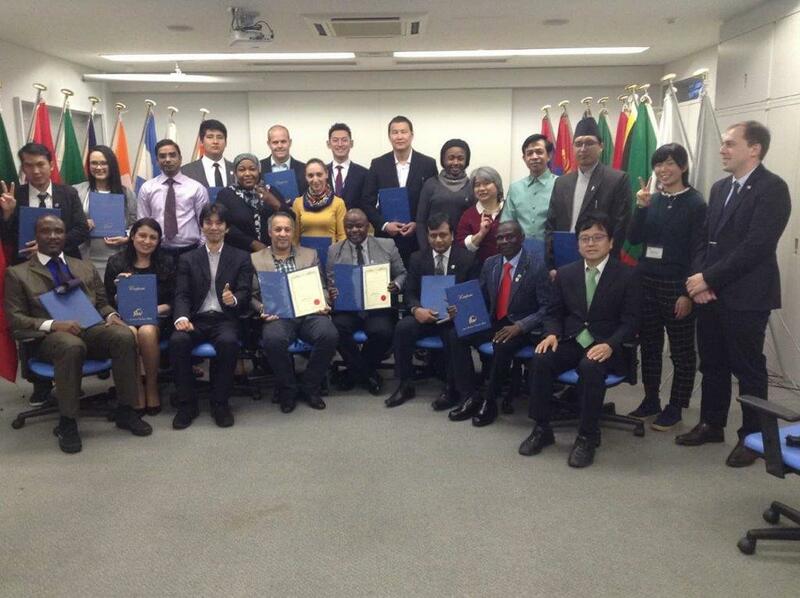 The course was presented in Obihiro City in the Hokkaido region (northern island) of Japan, which is also the region where agriculture is best developed/the most productive in their country. It was winter during the course period with heavy snow and temperatures of up to -20 degrees which Van Schalkwyk experienced. JICA’s Knowledge Co-creation Programme is implemented as part of the Official Development Assistance of the Japanese Government based on a bilateral agreement between governments. This programme aims to develop a practical implementation plan under theoretical management and marketing strategy in order to promote small-scale industries in the agricultural sector. According to Van Schalkwyk, “The programme background concept is, due to the economic growth, the inequality of income between the rural and urban areas, which is widely spreading in developing countries. To increase the income in rural areas, people should be concerned about ‘the needs’ in the urban areas and produce products which meet their needs”. To promote rural communities, ‘One Village, One Product’ projects have been implemented in many countries. Through these projects, various products have been discovered and developed in several rural areas. This programme aims to ensure capacity development of central and local governments and employees who relate to rural development from aspects of its management and marketing skills in agricultural regions. Van Schalkwyk said that the course participants received opportunities in Japan to identify approaches and methods to ensure marketing skills and enhance management of small and medium-sized companies. Participants also formulated an action plan detailing what they will do, after returning to their home country, by putting the knowledge and ideas they acquired and discussed in Japan into ongoing activities. The overall goal of this programme is the creation of job opportunities and development of the local economy in agricultural regions by means of utilising local resources and support of local industries that have been started. “This course/programme was very fruitful. We learnt the most significant aspects that affect our small and medium-sized enterprises, such as our beneficiaries (small farmers) who we serve on daily basis. The modules that we learnt helped us to understand policies for rural development by promoting and/or assisting SMMEs, concepts of management, marketing strategies to promote agricultural products and processed foods, teaching methods of management and marketing as well as action plans to promote rural industries. In general, I was very impressed how well the agricultural sector is organised in Japan in the form of co-operatives, which were implemented to improve the bargaining power of small and larger farmers”, said Van Schalkwyk. Van Schalkwyk gained very good experience and is willing to share and implement his knowledge with those who would like to know more about this. “I am extremely grateful for the opportunity and would like to thank Casidra for nominating me to be part of this amazing programme. Thank you to JICA and the National Department of Agriculture, Forestry and Fisheries for awarding me this wonderful opportunity!”, he concluded.